It is said that seeing is believing. Well, I have seen. It was back in the 80’s, in my A.P. Physics class in Gilman High School. In retrospect my classmates seem so colorful, almost like legends: C.A., I.M., M.K., M.S., M.L., M.J., J.H., T.N., T.P., J.S., et al. They were all present, and they all saw. The teacher, Mr. W.P., brought divining rods to class one day. They were made of a silvery metal, probably aluminum, and were L-shaped. The long arm of the L was perhaps 18 inches long, while the short arm was perhaps 6. You held the short arm of one rod in one hand, and the short arm of the other rod in the other hand. I believe that there was a sleeve over the short arm which allowed the rod to swivel freely, even though you were gripping the short arm tightly. Mr. P. pointed out that there were bare pipes along the ceiling containing running water, and that the rods were aligning with the running water. From what I’ve read elsewhere, this is known about divining rods: they work only with running water. I don’t think that the effect is due to something like psychic powers. I think it’s simply some curious physical effect that has to do with running water, that we haven’t figured out yet. So, I’m filing this post under Science and Technology rather than Meditation and New Age. Missouri’s unofficial state motto is “Show Me.” I like that. In the second dream, my sister was cooking a chicken in the oven. We had to go somewhere, and she suddenly learned (perhaps through a telephone call) that she had found transportation. I am not sure what form the transportation was, although it may have been a taxi cab. We had to leave immediately to catch the transportation. I asked my sister if it would be okay to leave the chicken cooking while we left. Surely it would get burnt? She insisted that it would be okay. I again asked her, are you sure? She was sure. We left the chicken cooking. B.O. appears in the dream. B.O. is slightly annoyed at M. because he had suggested she use a suitcase that had a buckle on it, and the buckle somehow irritated her. Perhaps during her travels, it was pressing on her leg or her head, and it was painful. S.J.F.’s wife T.S.F. (who is expecting twins in May!) also appeared in the dream, briefly. She made a comment, but I don’t remember what she said. I had two dreams the night of April 23 (so they probably actually occurred in the early morning hours of April 24). At least, two that I can remember. I remember only the general gist of the first dream. In this dream, for some reason I have decided to be less messy, and to throw unnecessary things away. In the process, I throw away two notebooks into the trashcan in the garage where I live. One of the notebooks was spiral-bound, while the other was my moleskin notebook that I often bring when I go on trips or to some function (e.g., a wine-tasting I attended April 8, or a musical event that I attended April 19) to take notes. But later I suddenly had second thoughts, and decided in a near panic that I really hadn’t meant to throw those notebooks away. I decided to go back to the trashcan to retrieve the notebooks. I reasoned that they don’t empty that trashcan too often, so there would be a good chance that those two notebooks would still be there. The notebooks were still there, although a little soiled, near the top of the pile of trash in the trashcan, with some other trash on top of them. I retrieved the notebooks, greatly relieved. To stimulate the U.S. economy, about $200 million dollars had been set aside for Challenge Grants. NIH is offering this money to eligible institutions, to address certain scientific or technological problems. But the process is competitive; one must submit an application, and only the “best” applications will be awarded money. There are fifteen broad “Challenge Areas”, and within each Challenge Area there are multiple Specific Challenge Topics. All told, there are about 100 Specific Challenge Topics; to apply, you have to choose a Challenge Area, and then within that a Specific Challenge Topic, that you want to address. This means that, on average, about $2 million dollars are set aside for each Specific Challenge Topic. And each grant is limited to a total of $500,000 per year, amounting to a maximum of $1 million dollars to be dispensed over the course of two years. So, this means that, on average, for each Specific Challenge Topic, only about two applications will be awarded funds. For one of the Specific Challenge Topics, we heard through an unofficial channel that NIH had already received about a hundred inquiries. If we assume that only half of the people making these inquiries will actually go through the trouble of putting together a grant application, we then estimate that this Specific Challenge Topic will receive 50 applications. Since only about two (on average) applications will be awarded per Specific Challenge Topic, that means only about 1 in 25 applications will be awarded. On March 25 of this year, at the weekly meeting of the Methods Group at work, my supervisor announced that he and another director thought it would be a good idea to apply for some of this federal grant money. And they wanted me to write the application, probably because I have a reputation in the company to have a knack for writing both well (at least, for a numerical/engineering type) and quickly. Since the due date was April 27, this gave me little more than a month to get the application together. I was a little reluctant to undertake this, since (from prior experience) I know that writing a grant application is a major undertaking. And one month is not very much time. Another problem is that I would depend on many people to do crucial things (for example, to provide their C.V. in a special format called an NIH Biosketch), and I know from experience that people tend to procrastinate until the very last minute. The deadline for submission, April 27, 2009, is a Monday, but since this was going to be the first time that I submitted a federal grant application through my current employer, I wanted to attempt to submit the grant application the Friday before, April 24. That way, if unexpected glitches arose, we would have three days to address them. So, I spent the past month obsessing over the grant application. The “meat” of the application was the Research Methods and Design component (the “Research Plan”), and I spent most of my time on this. I had to cajole Key Personnel to send me their NIH Biosketches and Letters of Support. I also had to obtain a budget from this subcontractor. I had to draw up my own budget, and then justify the expenses in this budget; the latter required me to cajole Key Personnel to send me a short blurb describing their background and expertise (this in addition to the Biosketches). I had to adjust this budget so that it was under the $500K per year limit. I had to do a little online research to determine how the Protection of Human Subjects component pertains to my proposed project ; it turns out that my proposed project is exempt because it just reuses publicly available data that is anonymized. I finally finished putting the grant application together yesterday, April 24. I immediately handed it off to my company’s Authorized Organization Representative (AOR), who is the one who is empowered to electronically submit the application, not the Principal Investigator (PI, the one who wrote the application; me). For this particular grant, only AORs of recognized institutions are allowed to submit grants; individuals cannot. I guess they don’t want people off the streets submitting grants, for whatever reason. Maybe it is to minimize the number of “crackpot” applications they have to sift through. You can read a little more about AORs and PIs here. And the glitches immediately arose. When my AOR attempted to electronically submit my application, a window popped up demanding his login name and password. But when he typed in his login name and password, it told him that his login was unsuccessful. We hypothesized that perhaps I should log in, even though our understanding was that the PI (yours truly) could not submit the application. This failed, of course. Then the AOR remembered that he had updated his account earlier that day, and this included changing his password. So, he hypothesized that perhaps he needed to use his old password. He tried this, and he logged on successfully! Another window popped up, and information seemed to be exchanged between our computer and the NIH server. Then a PDF file popped up that looked horribly formatted; it looked like raw PostScript code. This didn’t look promising. The AOR logged on to his Grants.gov account and looked for signs that the application had been successfully submitted, but there were none. As far as the computer system was concerned, the submission was unsuccessful. It is for precisely these sort of glitches that I knew I had to try to submit on April 24 rather than April 27! It is out of my hands now; it now all depends on the AOR. I have done my part. Addendum (04/26/09): It appears that the AOR was able to submit my grant successfully! He forwarded me a confirmation email that he had received. Now I worry that my application might be rejected for some silly technical reason. E.g., I forgot to check some box in item 9b on page 16 of Form SF424. Even if the application isn’t rejected for technical reasons, it still faces fierce competition, since I am sure that many people will be applying for this grant money. Addendum (05/02/09): I mentioned an analogy from evolutionary biology to my friend E.N. She suggested that I mention it in this post since she thought it was interesting. So, here it is. Prof. Anonymous recently described Challenge Whores, who are scientists who submit multiple Challenge Grant applications as P.I., in the hopes that at least one will be successful. This is within the rules, as long as the applications are “scientifically distinct.” But “scientifically distinct” is a rather vague criterion. It is implied that some scientists are copying and pasting boiler plate text and changing a few words here and there to put on the appearance of being “scientifically distinct”. And for someone like me, who invested a huge amount of effort in just one application, the thought of such bending of the rules is maddening. Evolutionary biologists distinguish between two kinds of reproductive strategies, K- versus r-strategies. Organisms that follow the K-strategy have only a few offspring, but they invest heavily in their offspring. An example of this might be humans. On the other hand, organisms that follow the r-strategy lay thousands of eggs (or spores, or seeds) and invest little or no effort in protecting and/or raising offspring. Of those thousands of eggs, only a few might survive, but this might be just enough to sustain the species. This is a sort of “shotgun” approach. So my analogy was that I had adopted a K-strategy in my grant application, whereas the “Challenge Whores” had adopted an r-strategy. Unfortunately, the r-strategy may have a survival advantage in the Challenge Grant environment. Addendum (05/02/09): An institutional technical glitch came up that may invalidate my grant application! Early next week I will try to address the issue, but I fear that my grant application will not make it to Peer Review. Addendum (05/08/09): OK, the institutional glitch that came up last week was apparently due to an inconsistent DUNS number. But this was ultimately because my organization didn’t have an account on eRA Commons like it should have! The following day (May 3), we applied for the eRA Commons account. Yesterday we got confirmation that this account was set up. My AOR then immediately associated me with the company’s eRA Commons account (with some assistance from me), and we attached an updated Cover Letter to my application, and then resubmitted it. It went through again, with only two warnings (not errors). Both my AOR and I think that these two warnings are negligible, and that therefore the next step is to hope for a score from the Peer Review in June/July. Keeping my fingers crossed that there won’t be any further “glitches”. When I had forgotten my coat at the Mane Restaurant, there was a period of about three minutes when it was uncertain whether my coat would still be there when we got back to the restaurant. I was wondering whether today was the day for losing that coat. I mentioned that the Buddhists have a word for pain or suffering, and that the word is dukkha. And that there are several types of dukkha, one being the type that arises because things are transient — a child’s favorite toy wears out, a plate breaks, a beloved pet dies. The Wikipedia entry states that the Buddhists distinguish between three types of dukkha. It is the second type that I was referring to, which Wikipedia lists as viparinama-dukkha, the pain that arises because things change. I have always found that third kind of dukkha, sankhara-dukkha, very difficult to understand. For M.V. 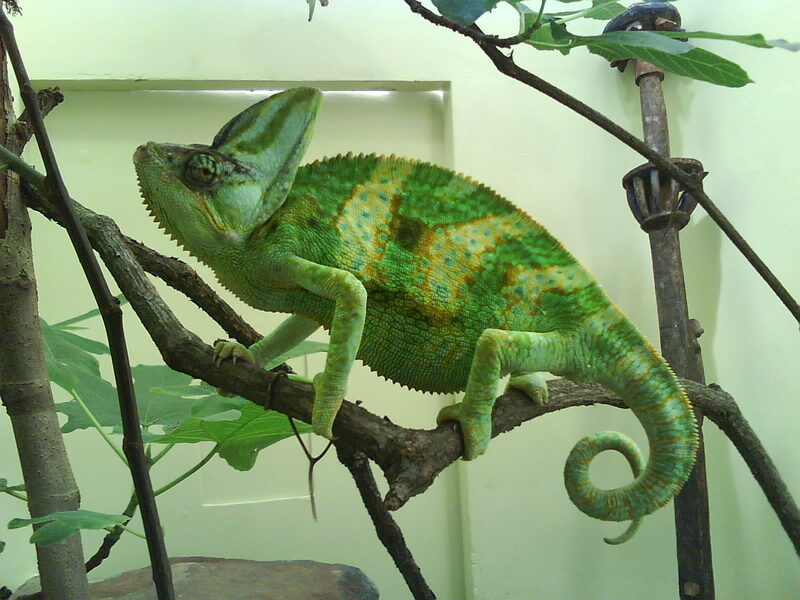 Photo taken in the Reptile Discovery Center at the National Zoo today, at 12:39 PM. I used my cell phone camera. With thanks to zoo volunteer Mr. M. Zell. Addendum (04/09/09): Conjecture: there is going to be a Thai restaurant at the new site. And the fire department is involved with laying water pipes. 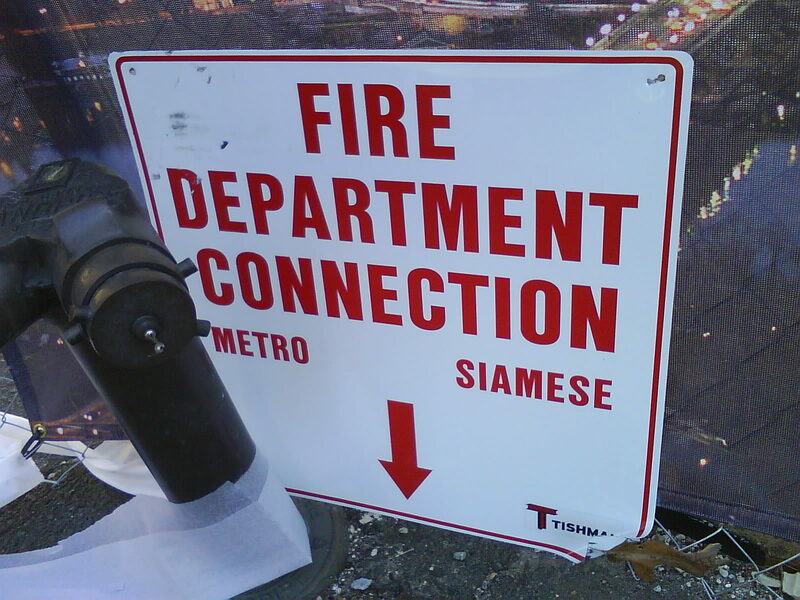 This may be a unique one-off sign to indicate to the pipe layers the direction of the Rosslyn Metro station, and the opposite direction of the new Thai restaurant. There’s no Thai restaurant near me currently, and I’d be delighted if there were plans to open one in the Rossyln area. Reminds me of this Marvel super-hero, whose origin involves rocket fuel. At the Chop’t salad bar that I frequent, there are three “rocket fuel” salad dressings under their “Spa” line: Rocket Fuel Dressing, Tex-Mex Rocket Fuel, and Thai Curry Rocket Fuel. The most efficient running speed determined in the study varied between individuals but averaged about 8.3 miles per hour for males and 6.5 miles per hour for females…. Interestingly, the slowest speeds — around 4.5 miles per hour, or about a 13-minute mile — were the least metabolically efficient … both a very fast walk and a very slow run can feel physically awkward. The obvious conclusion is that a long-distance runner should try to find her own best pace for optimal performance.